I’m convinced we act out of our most deeply held beliefs. So, before I was ready to commit to a daily habit of memorizing Bible verses, I had to really buy in to the importance of doing so. Honestly, it’s hard. It takes time and effort, so I know I’m not going to follow through if I don’t really think it’s worth it. Of course, I accept the Bible as authoritative in matters of faith and practice, so I had to see what the Bible had to teach me. Do I really need to make memorizing the Scriptures a regular part of my discipleship? Just a cursory study convinced me that yes, memorizing bible verses is essential. 1) Jesus' devotion to the written word of God sets an example that demands to be imitated. Like all first-century Jewish males, Jesus was brought up saturated in the Hebrew Scriptures. He likely memorized large portions of the Torah (the first five books of what Christians call the Old Testament), if not all of it. Jesus demonstrated his command and recall of the Scriptures throughout his ministry. Jesus definitively proves the importance of having the Scriptures memorized when uses passages to combat temptation in the wilderness (Matthew 4). By internalizing the holy words of Jesus, the “author and perfecter of our faith” (cf. Heb. 12:2) we draw close to him, live in him, and our desires are conformed to his. In this we become more like him, and our witness gains credibility. 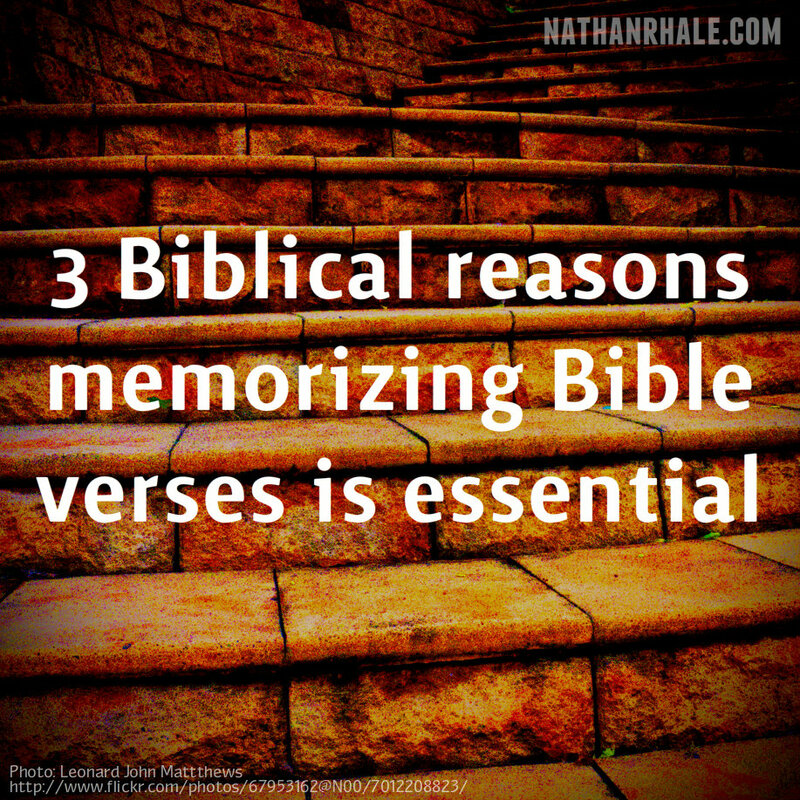 What other Scriptural reasons come to your mind for memorizing Bible verses?